The UW Reality Lab at the Paul G. Allen School of Computer Science and Engineering on the Seattle campus will educate and develop future generations of AR and VR talent in the hopes of producing innovations and fostering research in the growing field. With the funding, the UW Reality Lab will also be able to create new AR and VR courses and provide access to bleeding-edge technology provided by the sponsoring companies. "Allen School faculty have produced pioneering research in many of the areas that underpin AR and VR technologies, including computer vision, graphics, perception, and machine learning," said Hank Levy, Allen School director and Wissner-Slivka Chair in Computer Science and Engineering in a statement issued by the university. "Through our partnership with Facebook, Google, and Huawei, the Allen School and UW will be at the forefront of the next great wave of AR and VR innovation — pursuing breakthrough research and educating the next generation of innovators in this exciting and rapidly expanding field." The center's leadership team, professor Steve Seitz, professor Brian Curless, and assistant professor Ira Kemelmacher-Shlizerman, expect to focus the research on areas that will advance the industry, such as content creation tools, privacy and security, and data infrastructure. According to the team, the students involved in the lab have already demonstrated their capabilities in developing a range of AR and VR applications, from holographic chess to cooking tutorials. "Having an opportunity to be at the leading edge of this industry is really exciting," said Curless. "It's big, it's happening now and there's a lot of research to be done. We're thrilled to take a leading role in making it all happen." For all intents and purposes, the corporate benefactors, each contributing equal funds, have vested interests in fostering advancements and talent for the industry. 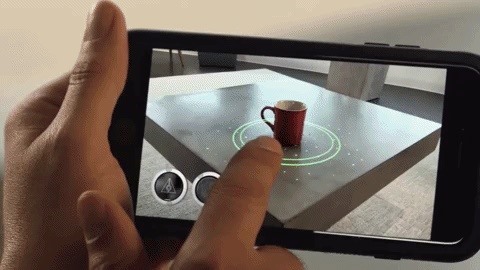 For example, Google and Facebook each have AR software platforms (ARCore and AR Camera, respectively) and content creation tools (Poly and AR Studio), and can benefit from talent experienced in these areas. Meanwhile, the UW Reality Lab could also become a potential talent pool for Huawei's research and development office in nearby Bellevue, which the company launched in 2016. Each company will also benefit from being able to test their new technologies with computer science students. Of course, Microsoft's presence at the school also looms large. The Allen School consists of two buildings, the Paul G. Allen Center for Computer Science & Engineering and the new Bill & Melinda Gates Center for Computer Science & Engineering, which is under construction and scheduled to open by Jan. 2019. Microsoft's influence with the university also continues beyond philanthropy, as the company gave students access to 40 HoloLens units in 2016, before the devices were available to the public, for the world's first AR course.